ROCK SPRINGS — Sweetwater Crimestoppers has been alerted that the Rock Springs Police Department is investigating a missing juvenile. Steven Wesley Clark was last known to have been dropped off at Rock Springs High School on Wednesday, September 28, 2016. He has not been seen or heard from since then by his parents. 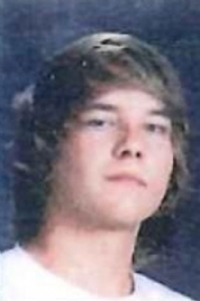 Steven Clark is described as a white male, 17 years old, with blond hair, blue eyes, and glasses. Steven is described to be around 5’ 8” weighing around 175 pounds he is 17-years-old. He was last known to be wearing a dark gray zip up sweatshirt, blue jeans, and red and white high top tennis shoes. Anyone with information concerning the location of Steven Wesley Clark is encouraged to contact the Rock Springs Police Department at 307-352-1575. You may remain anonymous. UPDATE: as of 3-12-2017 Steven has been located in Colorado. However RSPD is still attempting to make contact with him. If you have any information on him please contact Det. Loredo at the Rock Springs PD 307-352-1588. Sweetwater Citizens Crime Stoppers is a local non-profit business, comprised of concerned citizens and local business that care about the community. We believe that people are the eyes and ears of the community. With summertime here, we want to encourage everyone to immediately report ANY suspicious activity that they might observe, no matter how insignificant they might think it is at the time. With the help of the community it is our hope that we can all have a safer place for us all to live.